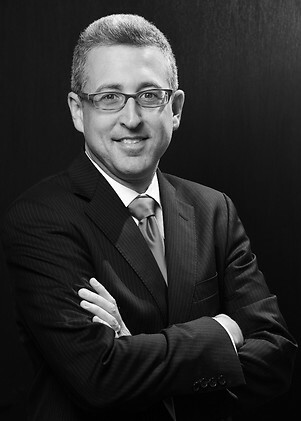 Neil Lieberman has a broad-based litigation practice representing financial institutions and other clients in commercial disputes before state and federal courts, including contract, securities, bankruptcy, labor, and ERISA matters. Neil also has represented financial institutions and individuals in wide-ranging investigations by federal and state regulators, including the Department of Justice, Securities and Exchange Commission, and the New York Attorney General, and has advised on related internal investigations. Neil has been recognized as a Rising Star in business litigation by New York Metro Super Lawyers for the past four years. In his pro bono practice, Neil works with the International Refugee Assistance Program and a team of Columbia law students to provide comprehensive legal services to an Iraqi refugee seeking resettlement in the United States. Prior to joining Holwell Shuster & Goldberg, Neil was a litigation associate at Paul, Weiss, Rifkind, Wharton & Garrison LLP. Before his legal career, Neil was a certified public accountant and worked with “big four” public accounting firms and multinational companies for more than 10 years on issues relating to financial reporting, international tax, and regulatory compliance. Investors and bank trustees in residential mortgage-backed securities (RMBS) repurchase litigations. Advises large hedge funds in RMBS and other structured finance matters, including litigation and settlement strategy. Estate of Mark D. Madoff and Andrew Madoff in bankruptcy proceedings and civil litigations arising out of the collapse of Bernard L. Madoff Investment Securities, LLC. National Football League in state and federal litigation involving more than 4,000 former players seeking to hold the league liable for allegedly concealing the risks associated with concussions sustained while playing professional football. A major financial institution and its executives in defense of SEC and multiple state attorney general investigations arising out of the sales and marketing of hedge funds that suffered severe losses during the financial crisis. AbitibiBowater Inc. (now known as Resolute Forest Products), then North America’s largest newsprint producer, in bankruptcy litigation associated with the restructuring of approximately $8.5 billion in liabilities pursuant to a cross-border bankruptcy reorganization.